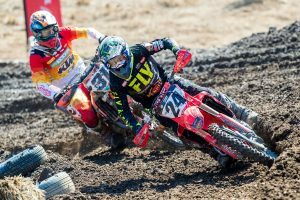 Privateer Stephens assists Webster after being 'utterly bogged'. 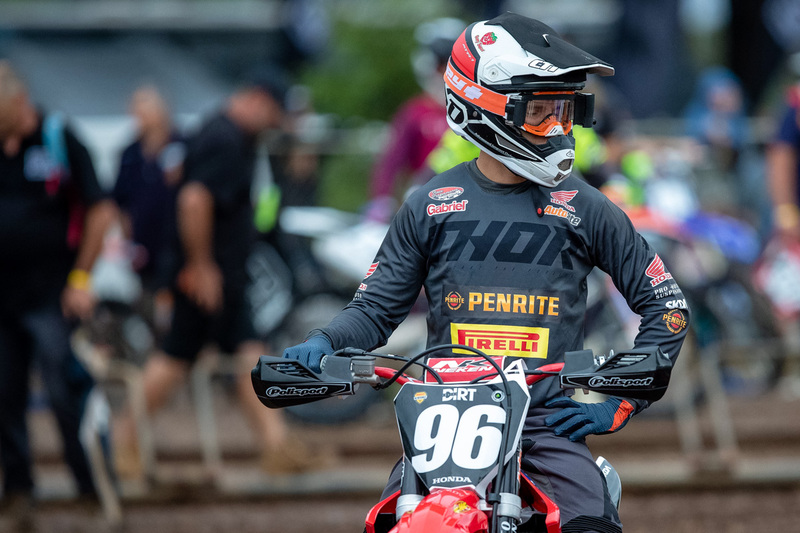 Kyle Webster has expressed his gratitude for a fellow rider’s assistance in Appin’s rain-soaked opening round of the 2019 Pirelli MX Nationals, which ultimately allowed him to salvage valuable points in the shortened schedule. The Penrite Pirelli CRF Honda Racing rider was challenging inside the top five of the sole MX2 outing when he became stuck in mud, only for Riley Stephens (Honda) to halt his campaign and assist the Western Australian in removing his bike from the situation. Webster, who remounted and fought back to 15th, believes he would’ve remained stuck and recorded a DNF if it wasn’t for Stephens’ help, saving him from a costly start to the year. “It was a bloody tough day to say the least – the track was so next-level wet to state the obvious,” Webster explained. 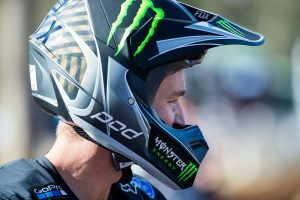 “I actually made a good start in the MX2 race and was running fourth or fifth after a couple of laps when I got completely and utterly bogged – I was stuck for almost a lap! Stephens completed the eight-lap outing in 19th position, four spots behind title-contender Webster.